POPxo needs no introduction! The company led by Priyanka Gill was early to spot an opportunity in India’s digital media space and, today, it has potentially gathered a large community of women followers. An apparent gap was identified by Gill way back in 2014 – when there were very few women-focused magazines having an online presence. She placed POPxo then, and today it is India’s largest digital community for millennial women and has an unrivaled advantage in that space. Gill has to her credit of setting the “Influencer Marketing” tone in India’s digital world. “We started building and promoting content that helped women become better in all aspects of their life, be it fashion, beauty, work or relationships. We used social media to reach out to our target audience and engaged with them,” initiates Priyanka Gill, Founder & CEO of Luxeva Limited, the media-tech company behind three of India’s biggest digital brands: POPxo, Plixxo, and Luxeva. At the start of her venture they were a team of three ambitious and highly opinionated women and, post 5 years, today, she heads 180+ employees. POPxo is India’s largest digital community for women where one can read, watch, shop and hang out. It has over 39 million Monthly Active Users (MAU) and is available on desktop, mobile web and via Android + iOS apps with a strong and engaged presence across all major social media platforms. POPxo has 82% of female users who spend over 3 million hours. The platform has accomplished over 2.5 billion monthly engagements across platforms and has partnered with over 250 brands to create exclusive, branded content. Every month, the team creates over 1500 stories, 80 videos resulting in users spending over 3 million hours consuming POPxo content. A total of $12m in funding has been raised to date with the latest round being led by Neoplux and OPPO and participation from existing investors Kalaari Capital, Chiratae Ventures, Summit Media, and GREE Ventures. POPxo is India’s largest digital community for millennial women. The brand’s tagline ‘Take It Up A POP’ underscores its unique position as a platform that helps women become better in all aspects of their life, be it fashion, beauty, work or relationships. The positioning is backed by POPxo’s multilingual strategy. The brands’ content is available in six languages – Hindi, English, Tamil, Telugu, Bangla & Marathi. To capitalize on the growth in the influencer market, Gill and her team brought out Plixxo in 2017. Today there are 37,000+ Plixxo influencers in 100+ towns across India. The technology powering the platform enables swift and seamless execution of large brand campaigns with thousands of influencers. In 2018, Gill introduced POPxo Shop – a private label for millennial women. From coasters to notebooks to sweatshirts and backpacks, the products helped millennial women to express their personality through what they wear and carry. Early this year, Luxeva.com – a digital-first luxury content platform was launched. It is a glossy guide to all luxury things for both women and men across all lifestyle categories with a strong affiliate product plug-in. According to Gill, the success formula is very simple. When there was good patronage to a product, it was only a matter of extension of services to keep the existing customers happier. Gill got cosmetic brands like Biotique to leverage the POPxo platform. Biotique in turn capitalized by engaging with their target consumers who were already on POPxo. This is a classic example of how brands combine forces to deploy influencer marketing. Gill is proactive! Her growth was undeniably convincing for her latest investors when she entered the regional content market in 2018. Then in 2019, Gill, further convinced investors by launching her own luxury content platform, Luxeva, with a strong affiliate product sales component. And her marquee investors are convinced that Gill’s media tech company is always on an evolution mode. They are confident that their money will be strategically placed in imbibing technologies like Artificial Intelligence and Machine Learning, which are soon going to be deployed to a larger extent to make POPxo and other brands better in Marketing and Advertising, Service Comprehension, Search and Classification, and Experience Innovation. With all this in place, does it seem impossible for Gill and her team to achieve an ambitious target of garnering their user reach to 100 million Monthly Active Users in the next 5 years? When it’s achieved, Voice&Data takes responsibility to keep you posted. 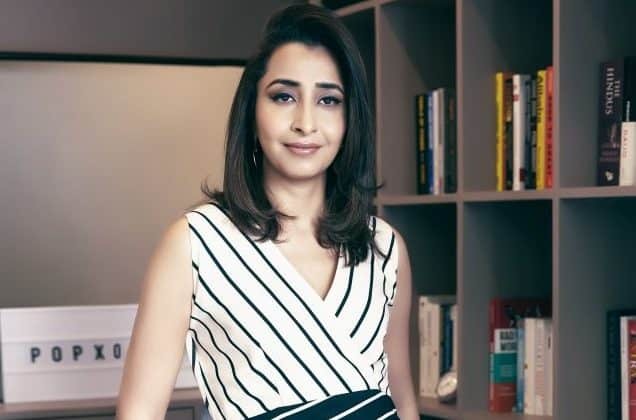 Will Priyanka Gill’s Content-Community-Commerce strategy garner 100 million MAUs for POPxo 0 out of 5 based on 0 ratings. 0 user reviews.